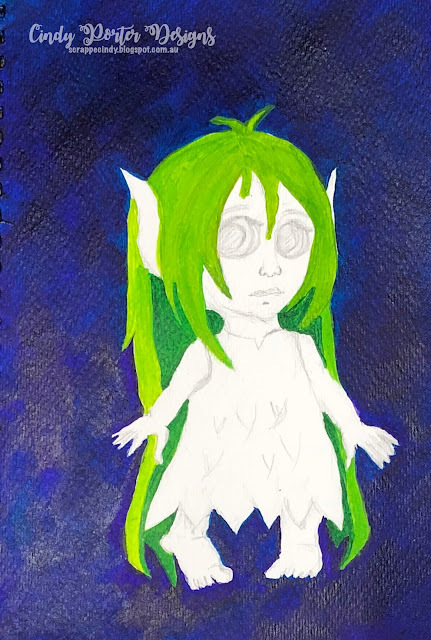 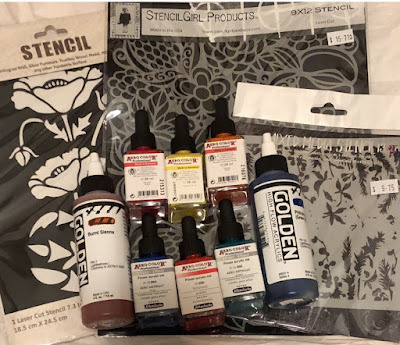 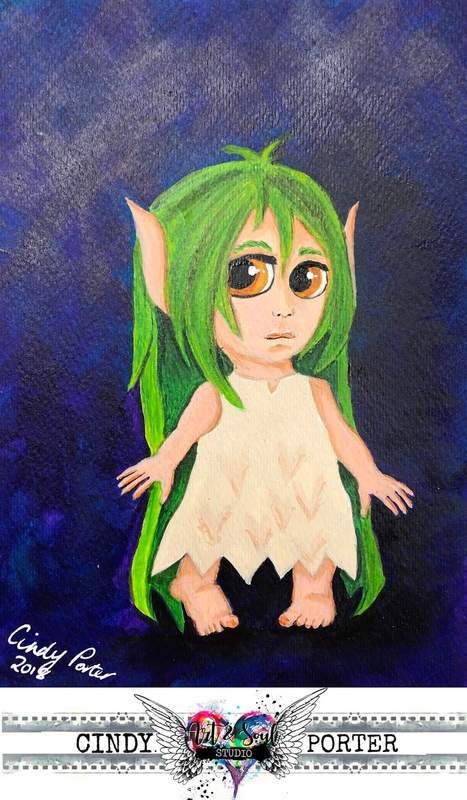 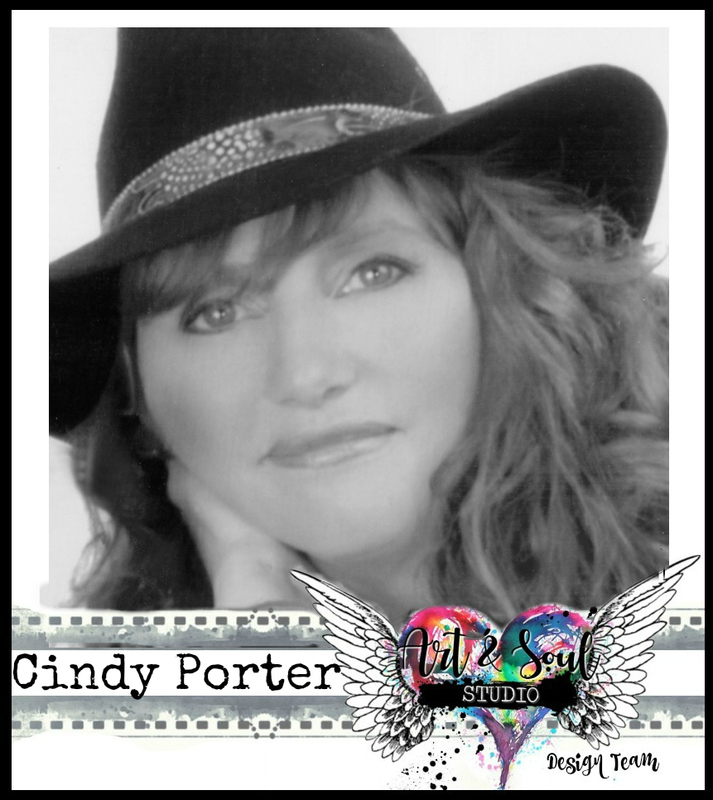 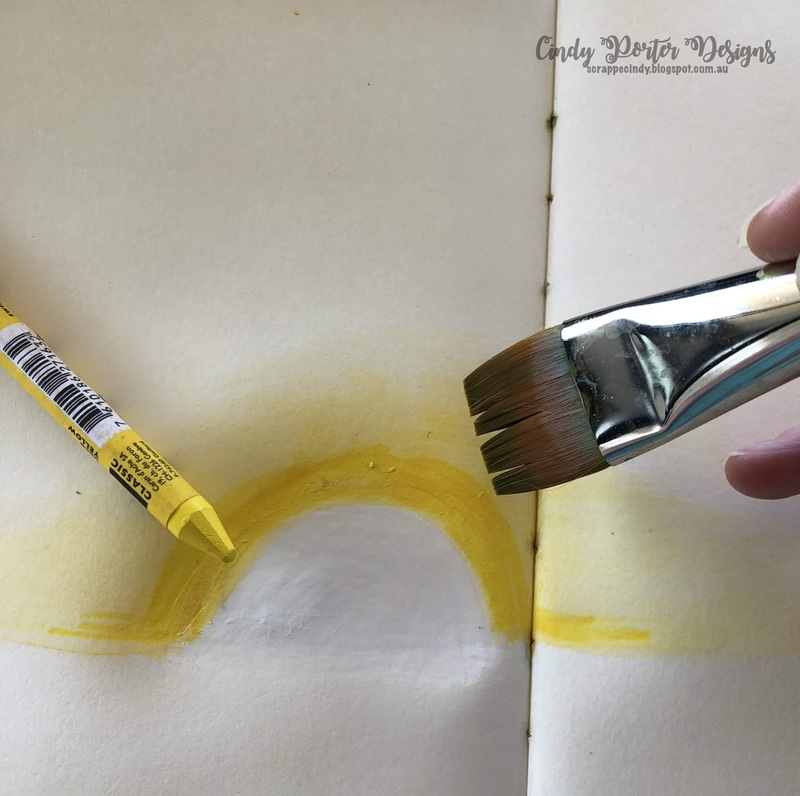 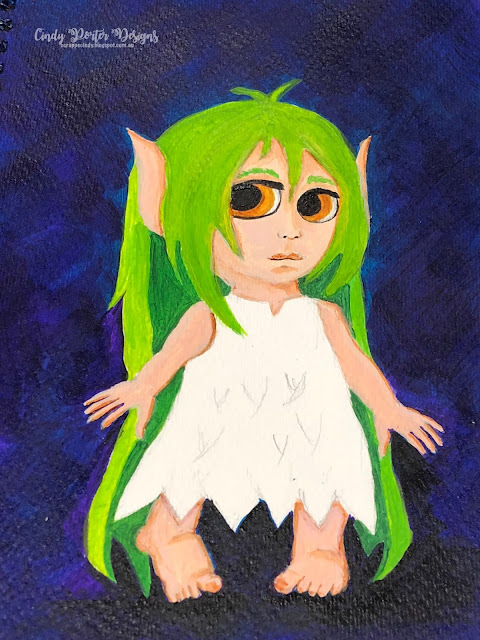 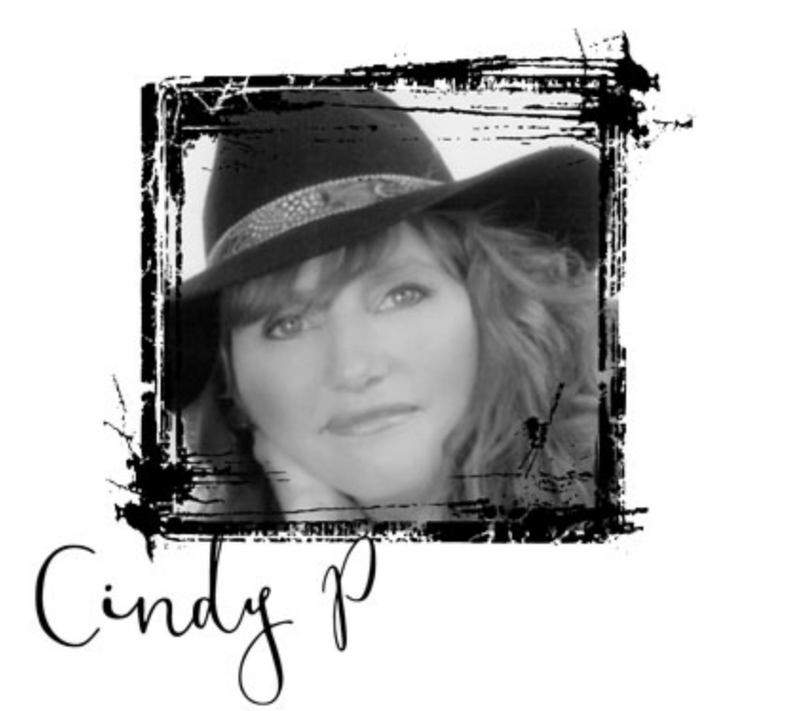 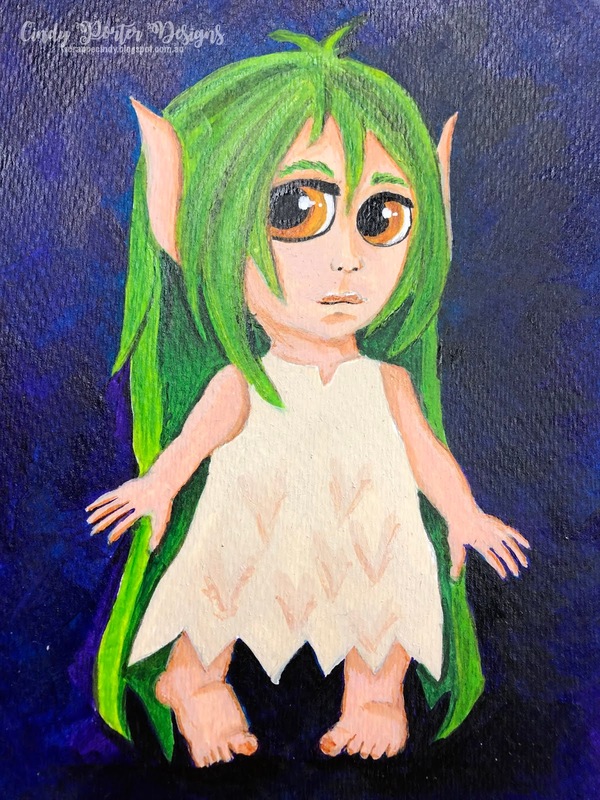 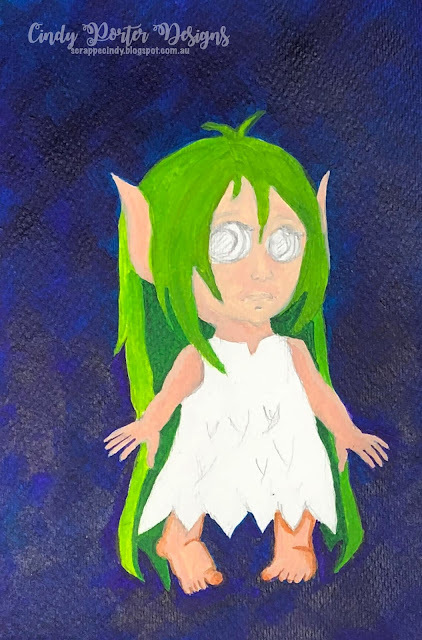 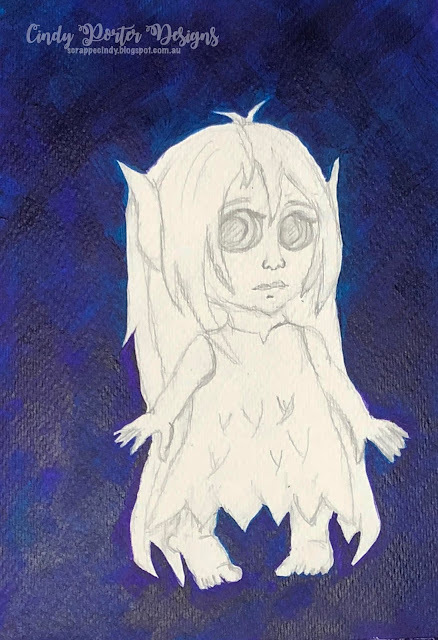 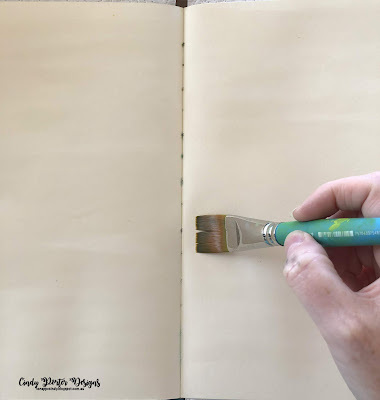 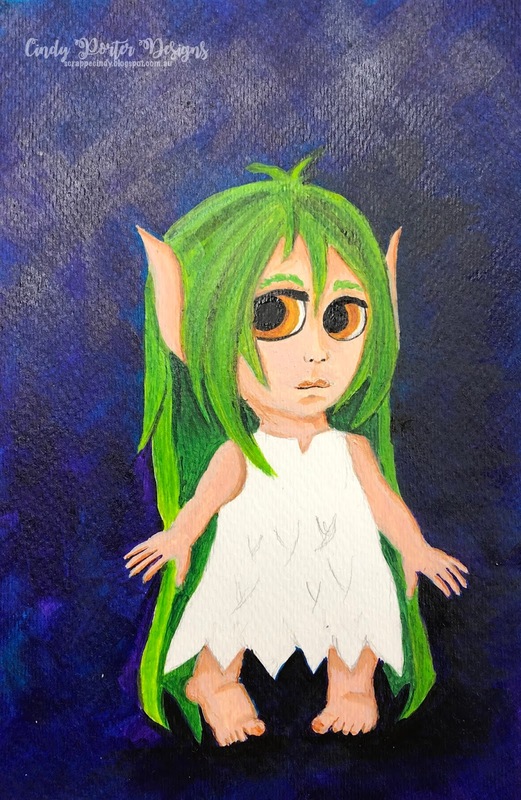 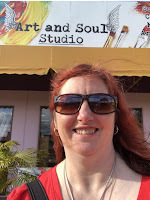 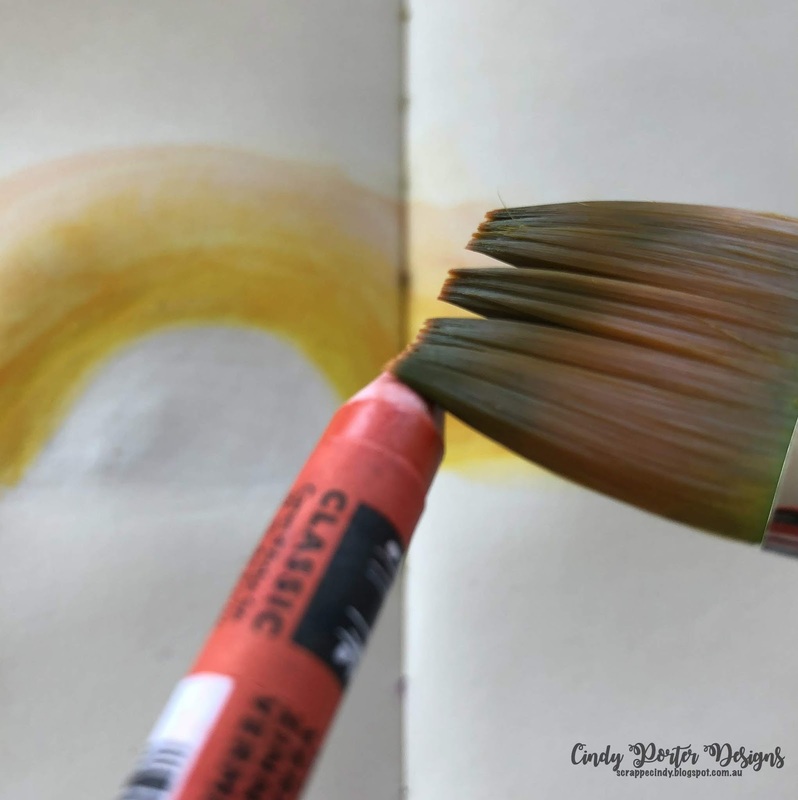 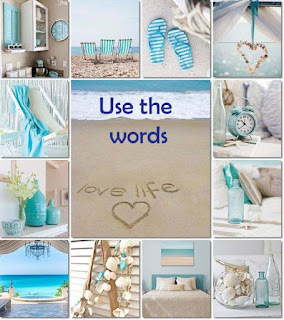 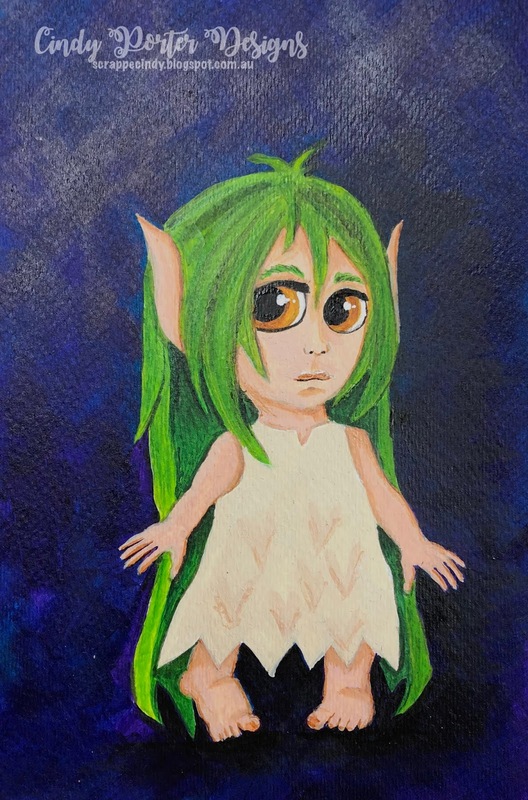 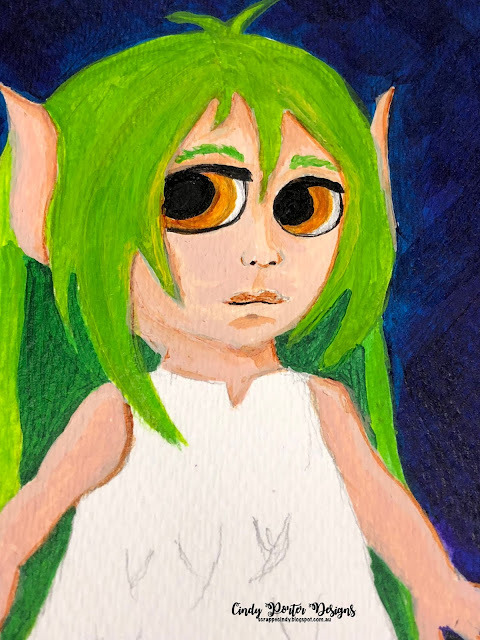 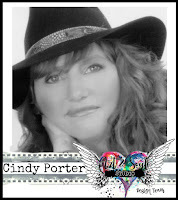 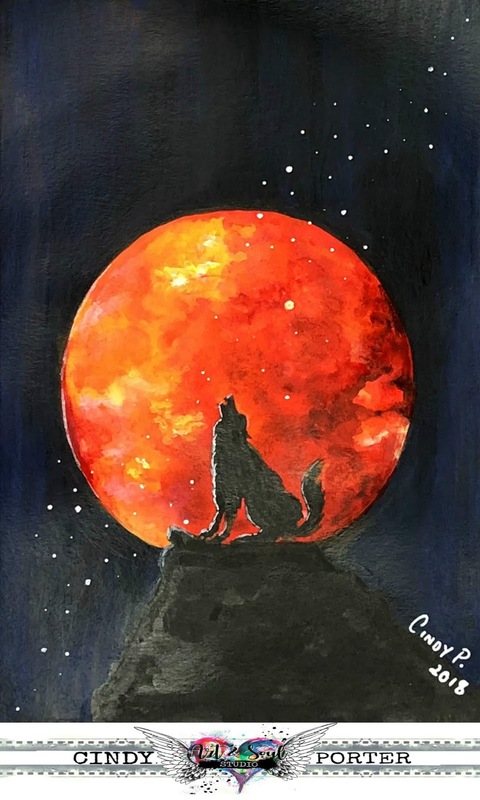 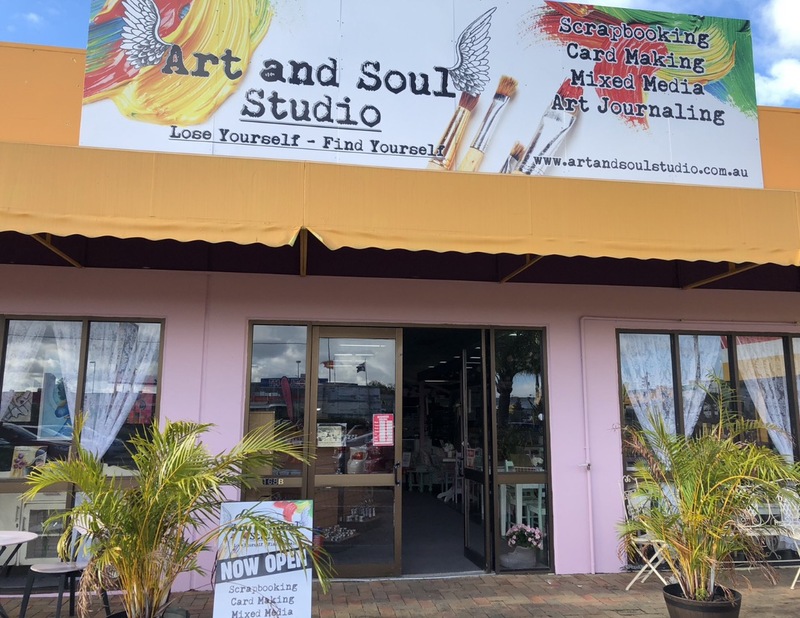 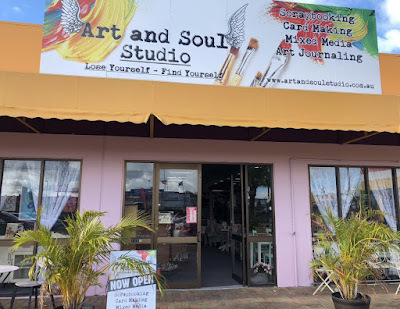 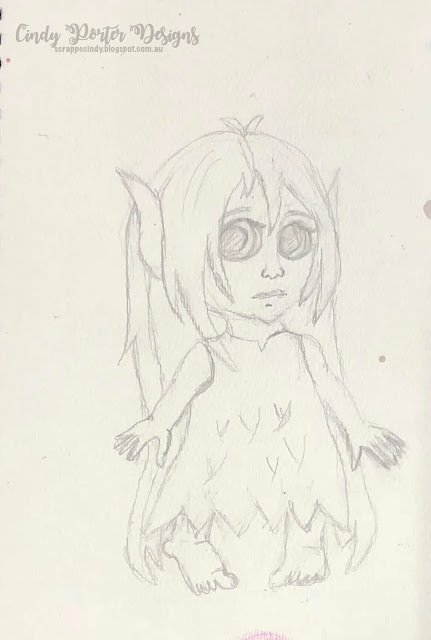 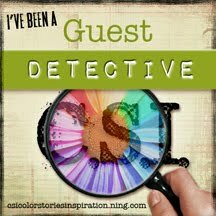 Hi everyone, it's challenge time again over at Art and Soul Studio! 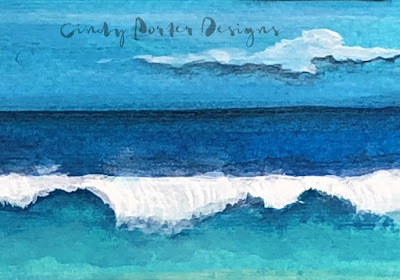 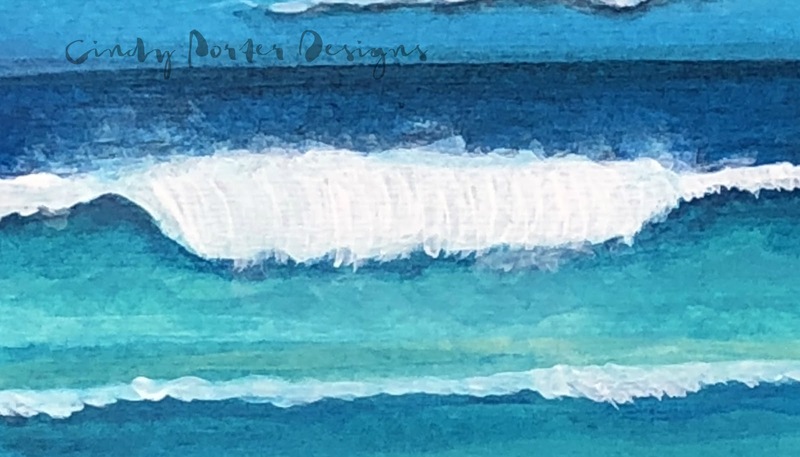 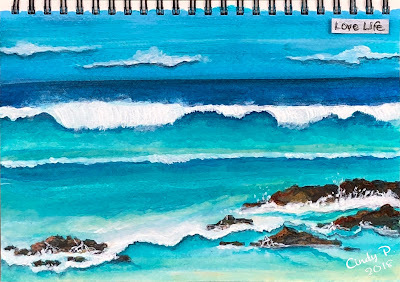 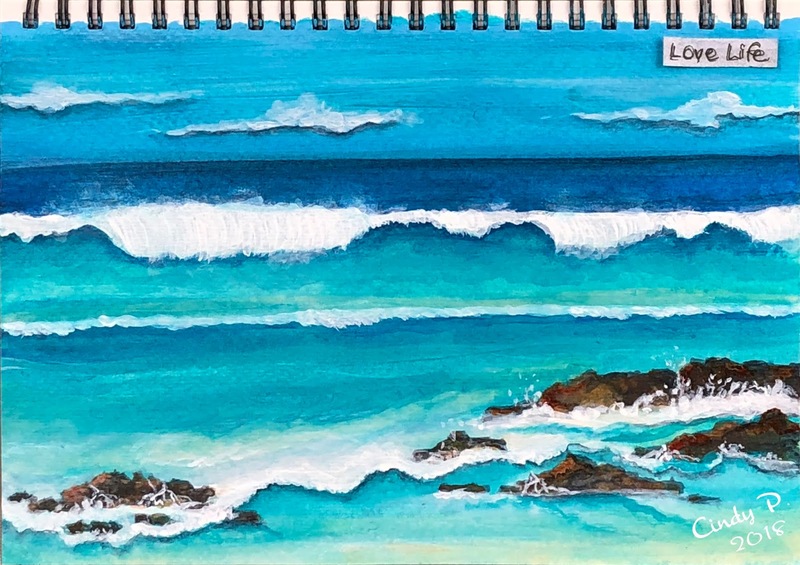 and this month I have created a little painting I titled Waves of Tranquility to play along with the challenge. 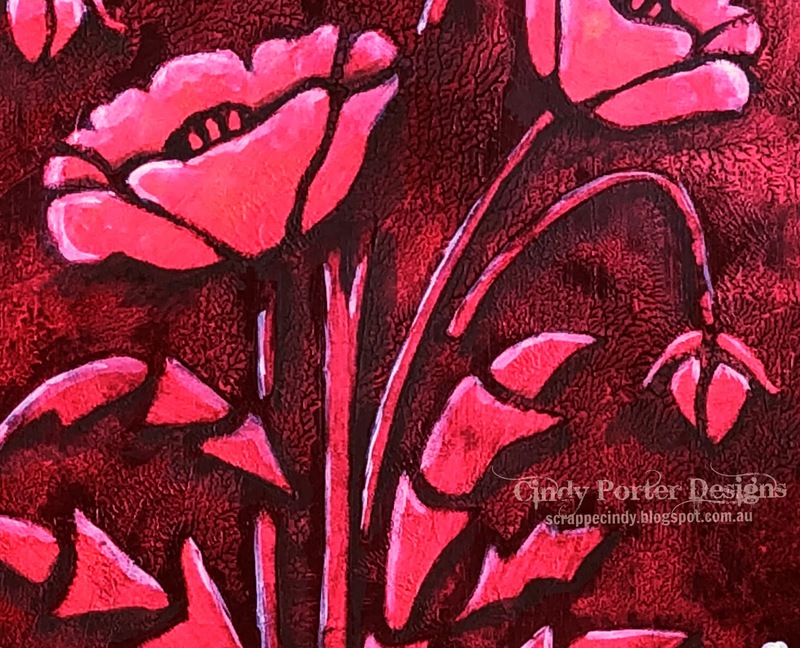 I used lots of fluid acrylics to paint this piece, from Golden Fluid and High Flow acrylics and DecoArt Media Fluid Acrylics. Hi everyone, it's challenge time again over at Art and Soul Studio! 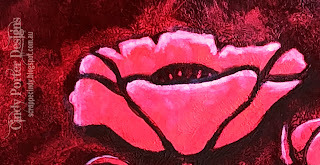 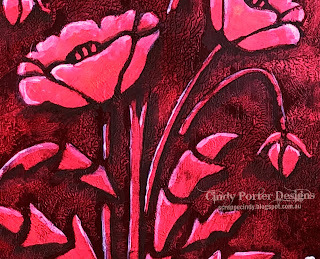 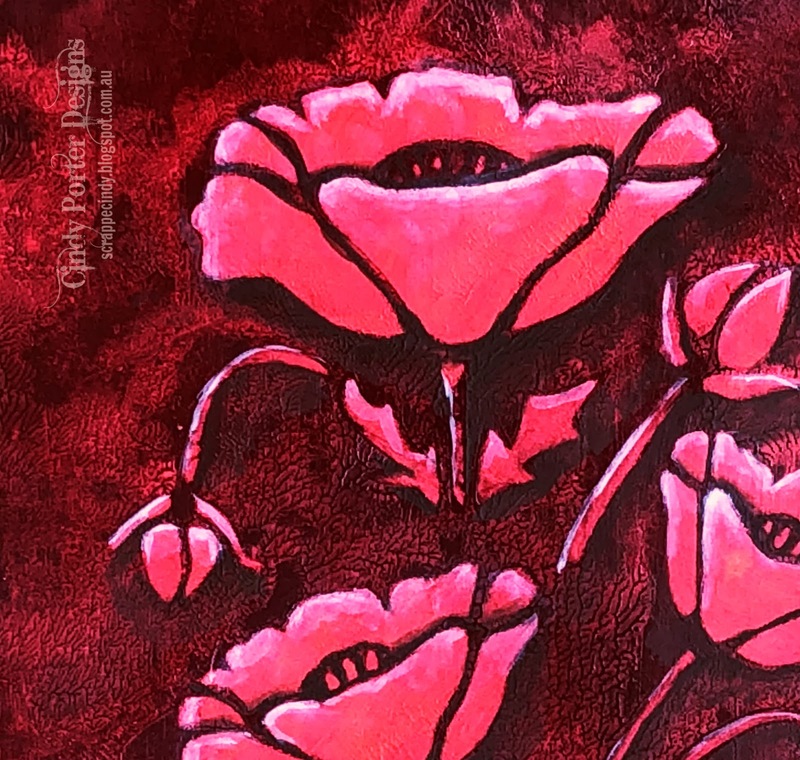 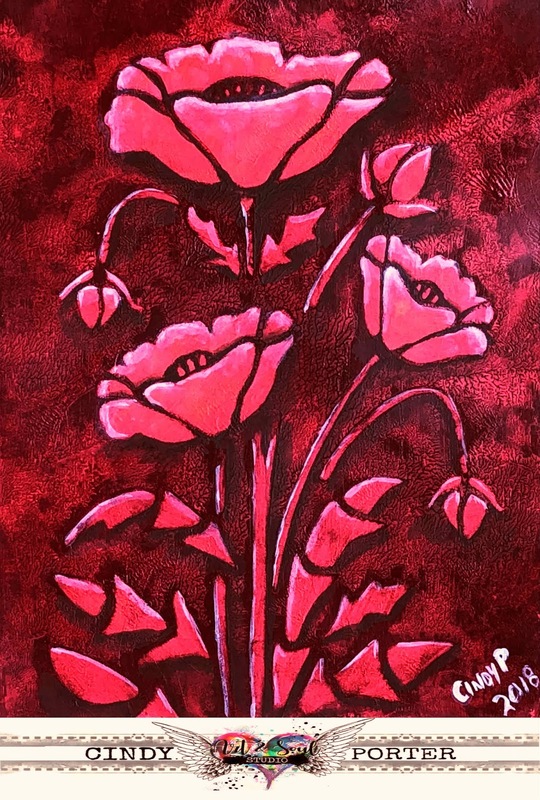 and this month I have created a quick little poppy painting to play along with the challenge. 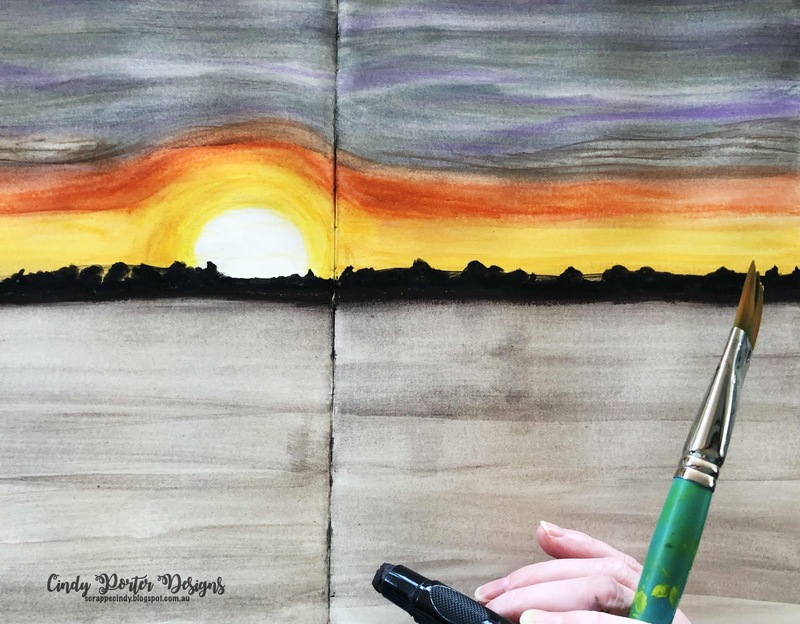 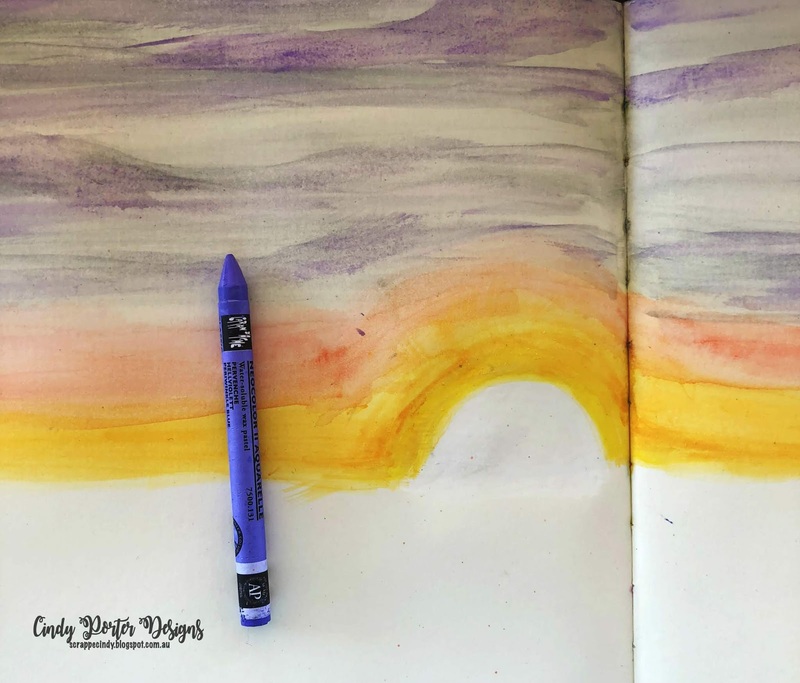 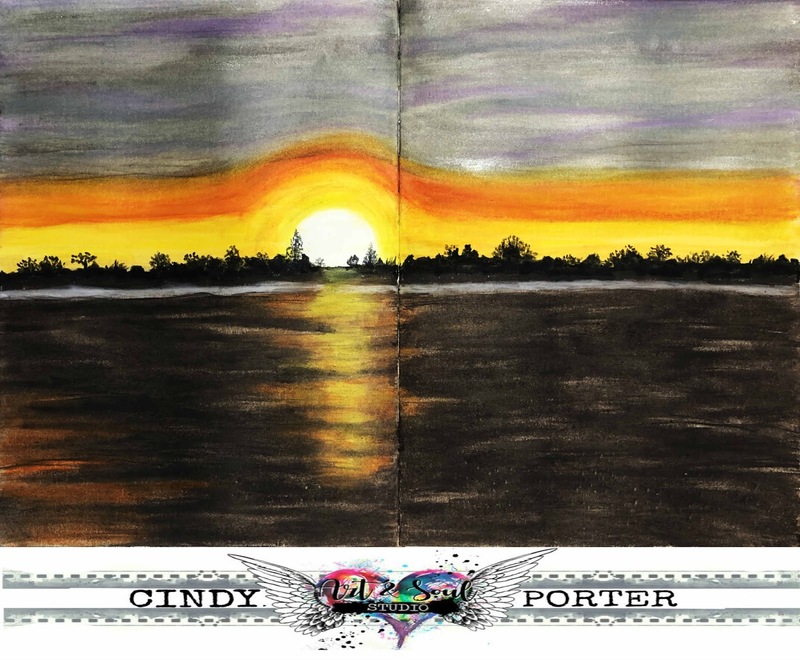 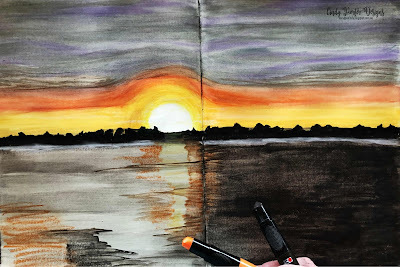 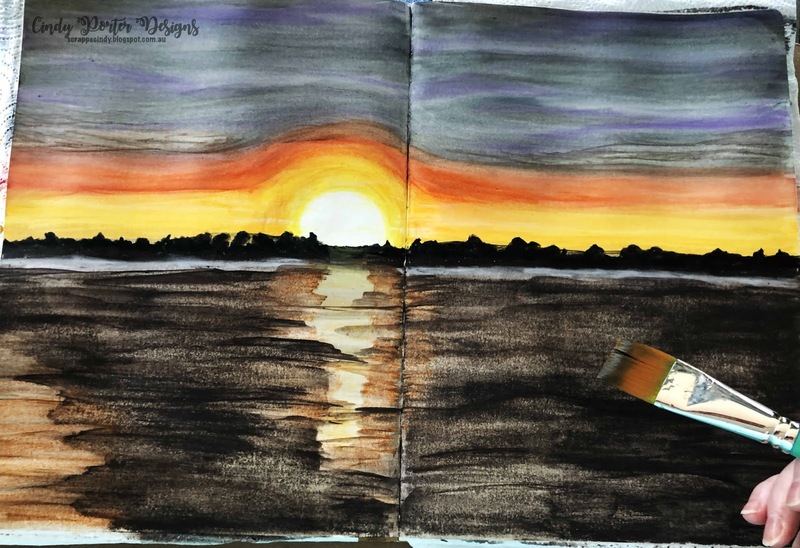 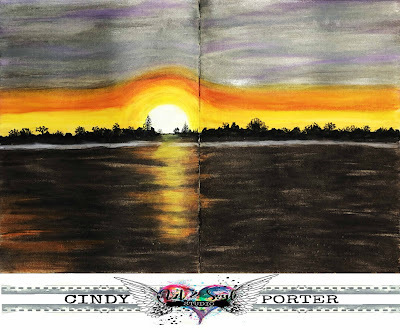 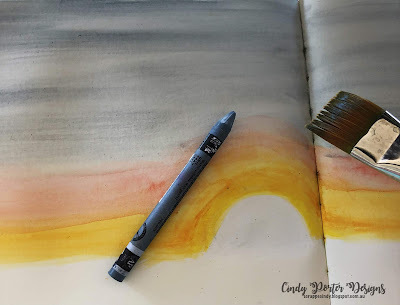 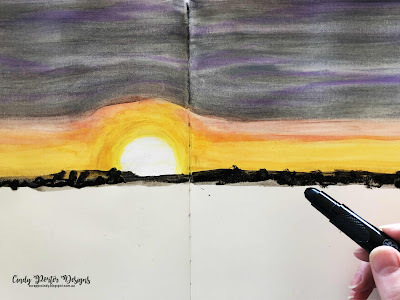 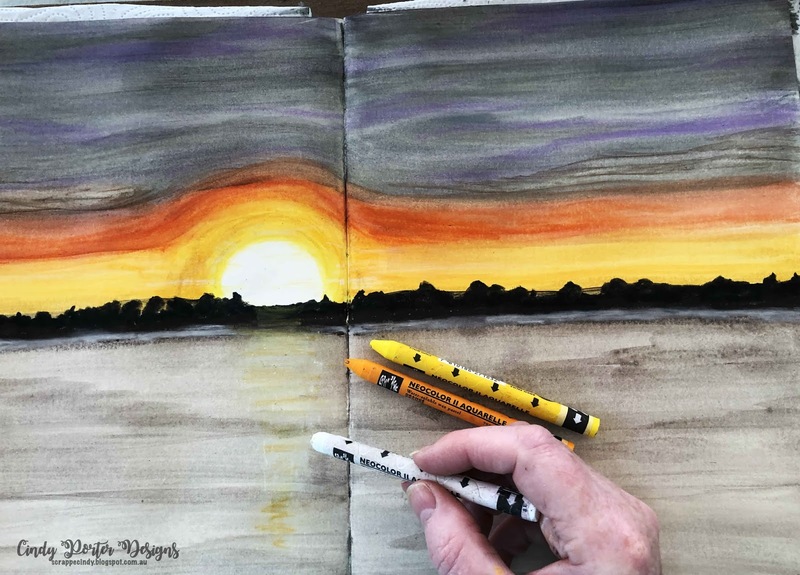 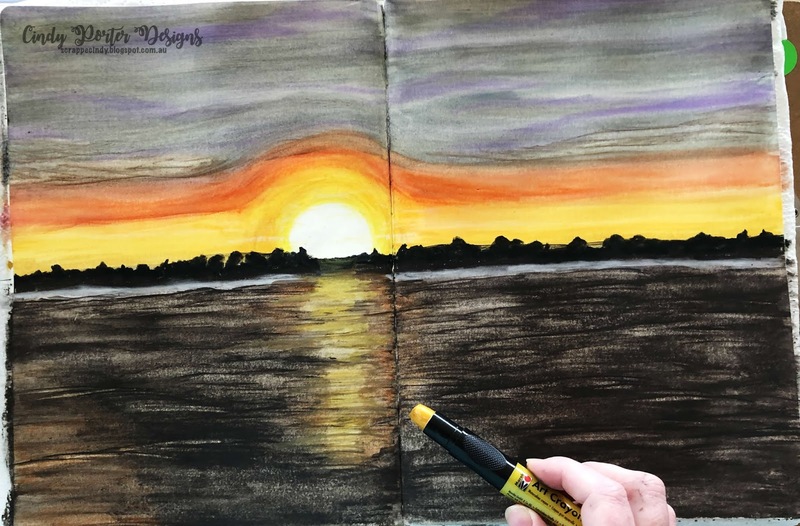 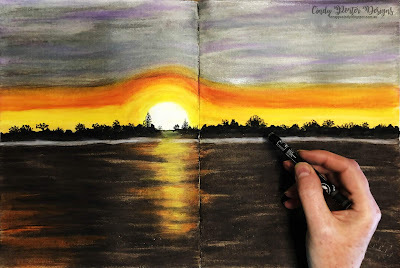 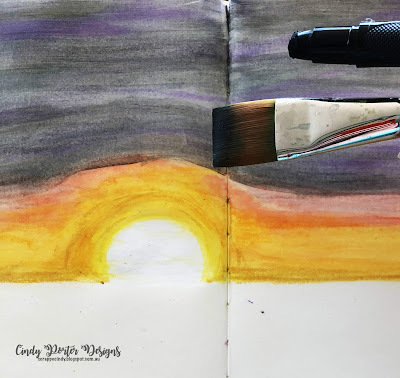 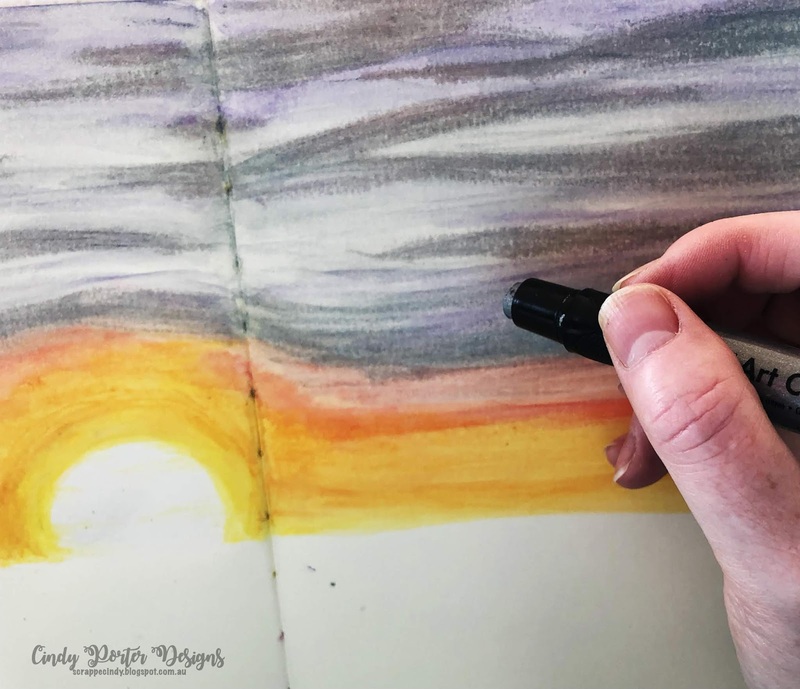 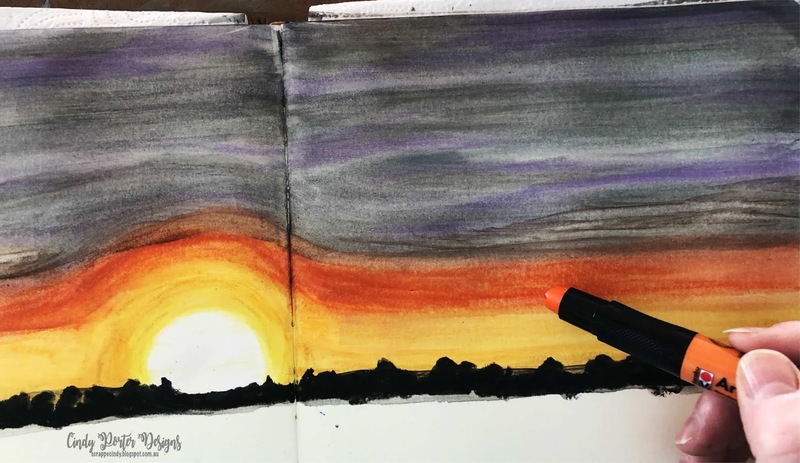 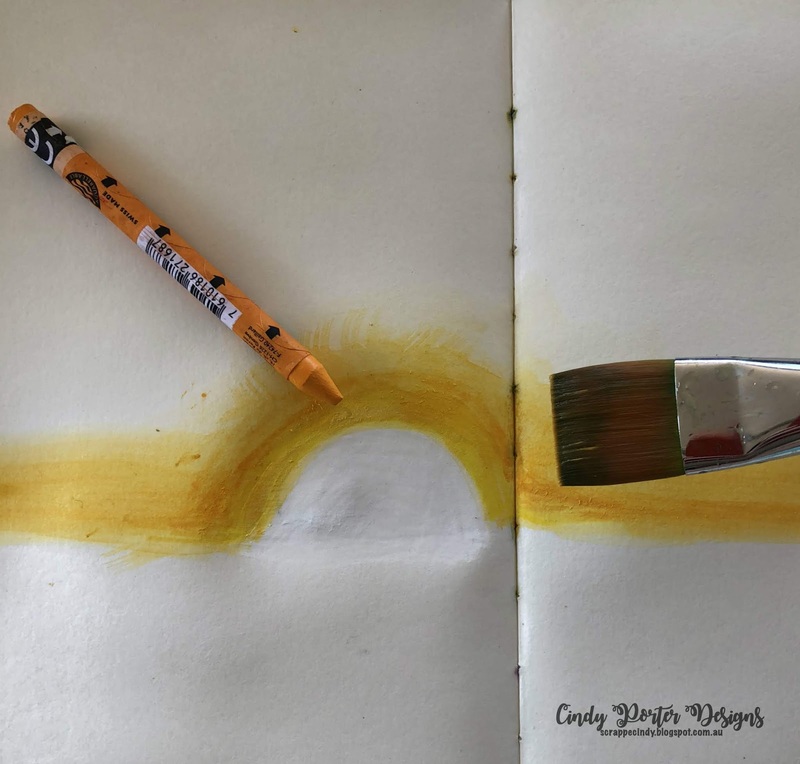 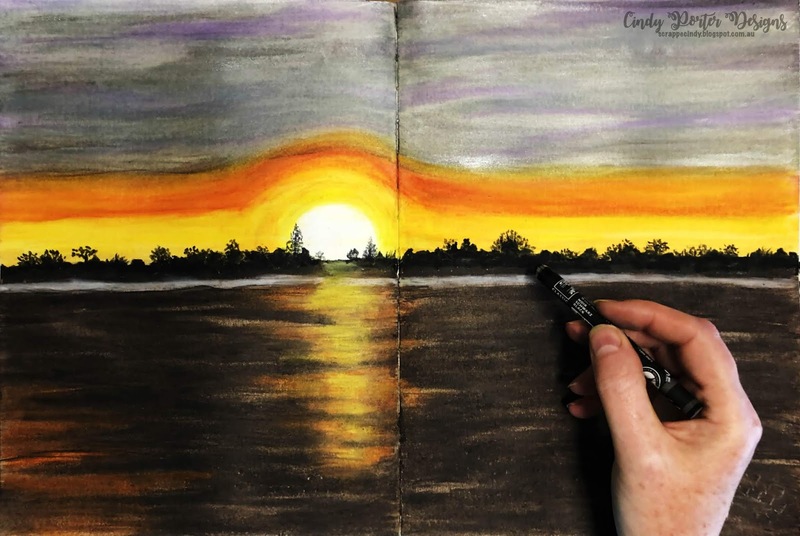 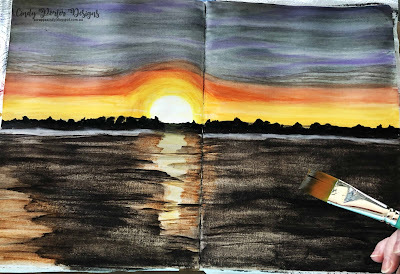 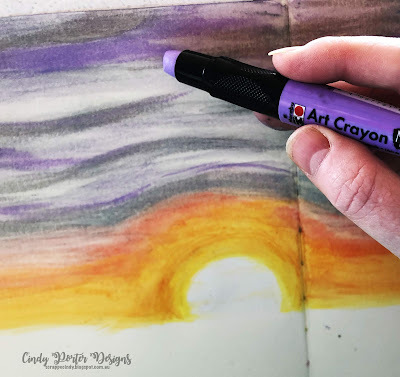 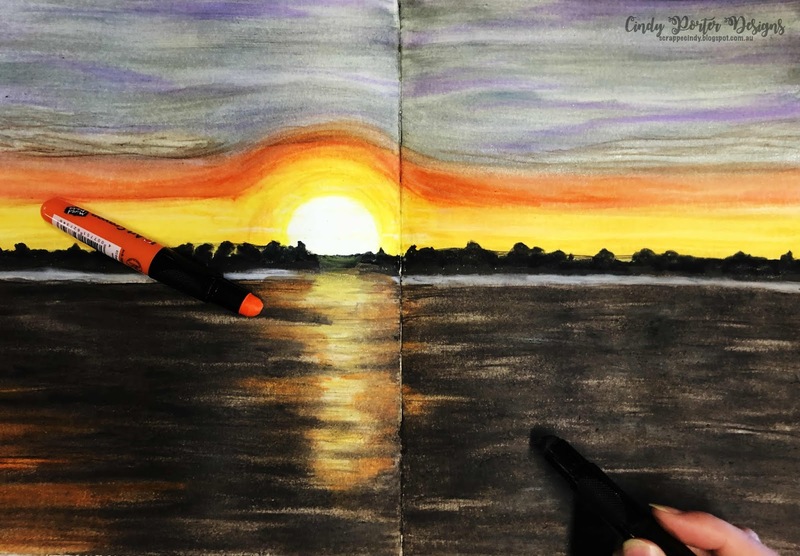 This journal double page spread, was inspired by the sunsets from where I was staying..